Rome is a diverse city with countless attractions, ancient constructions, interesting museums as well as other sights. If you do not have a lot of time but want to explore as much as possible, the Rome City Pass is the perfect option. You will be able to avoid long waiting times at the popular attractions due to skip–the–line entries. 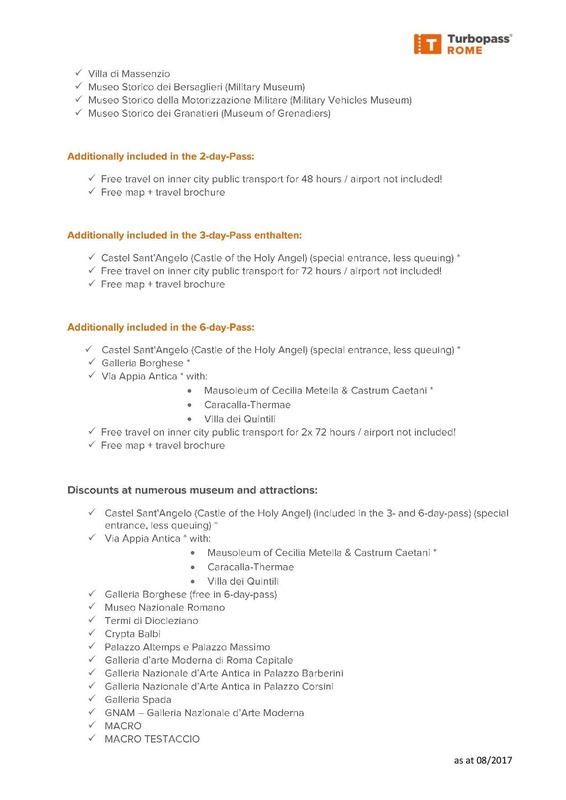 Also included in the Pass is the public transportation, which allows you to start your vacation stress-free in the capital of Italy is also known as “The Eternal City”.Visiting the Vatican with the Sistine Chapel and the Vatican Museums is most likely on the top of your must-do list when in Rome. 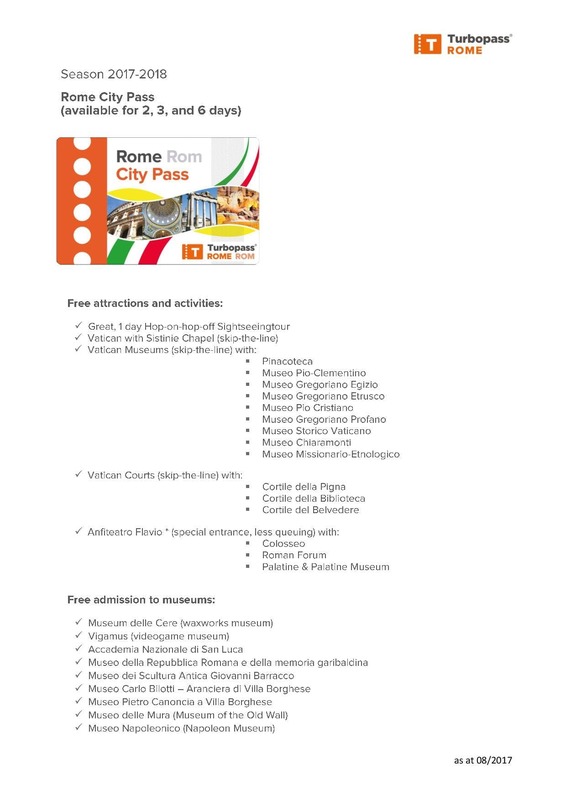 With the Rome City Pass, you will not only save the admission fee but also enjoy a skip–the–line entry, saving a lot of time. There are 14 museums located in the Vatican, which accommodate a diverse collection consisting of pieces from the oriental, classical antiquities, Etruscan–Italian, Early Christian and Middle Age Art. Millions of visitors come every year to admire Artworks by DaVinci, Michelangelo and Raffael among others. 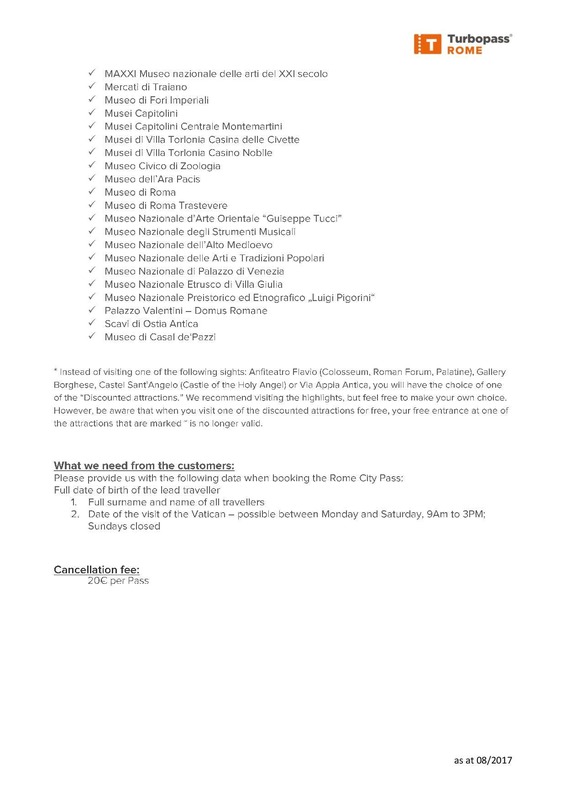 With the Rome City Pass, you will enjoy free skip–the–line entry included.The Rome City Pass includes also free entry to the largest amphitheater - The Colosseum which also is Rome’s landmark.